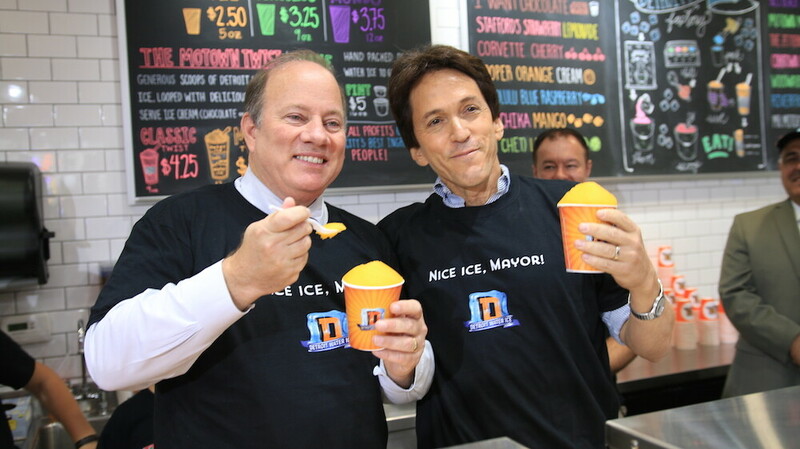 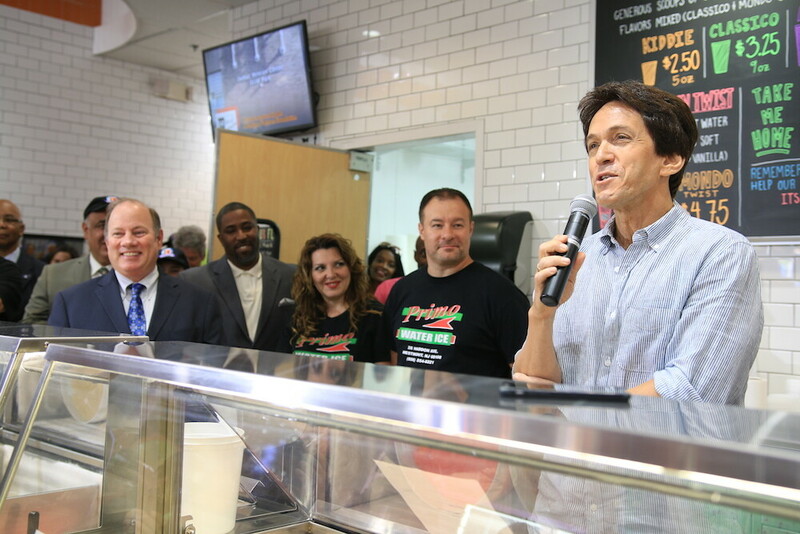 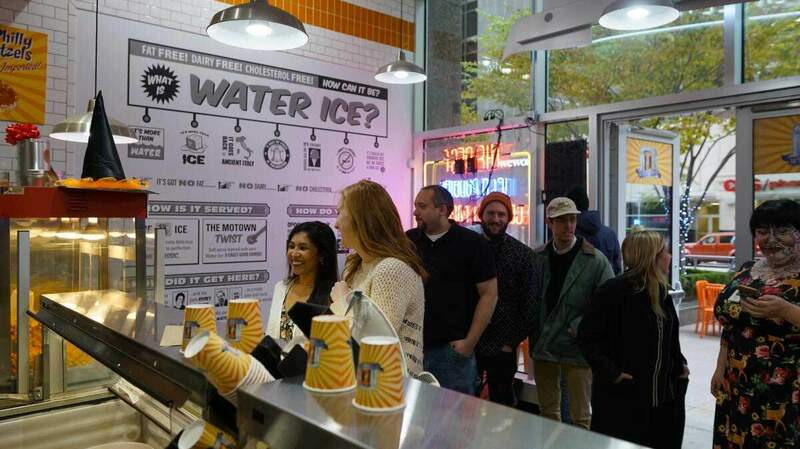 Created by SAY Detroit founder Mitch Albom, the Detroit Water Ice Factory is a non-profit dessert store in downtown Detroit. 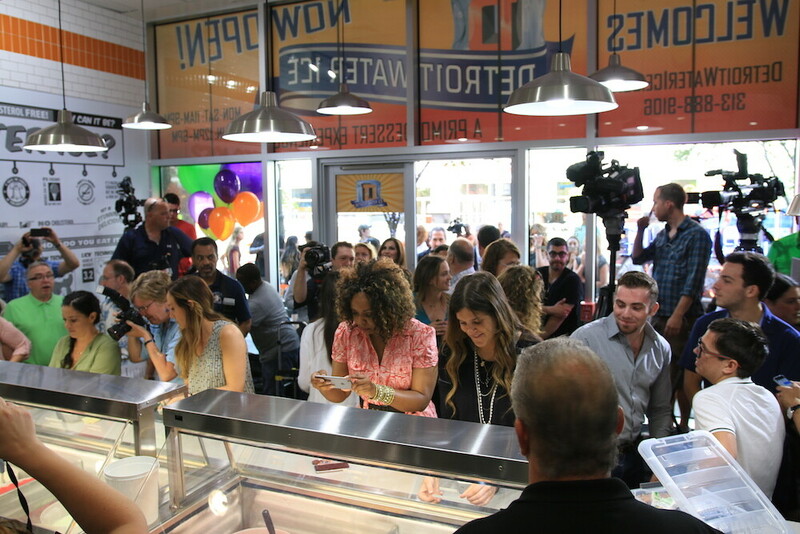 The store follows the “Newman’s Own’’ model of philanthropy, offering delicious frozen dessert, gourmet popcorn, and other products with the sole goal of raising funds to help others. 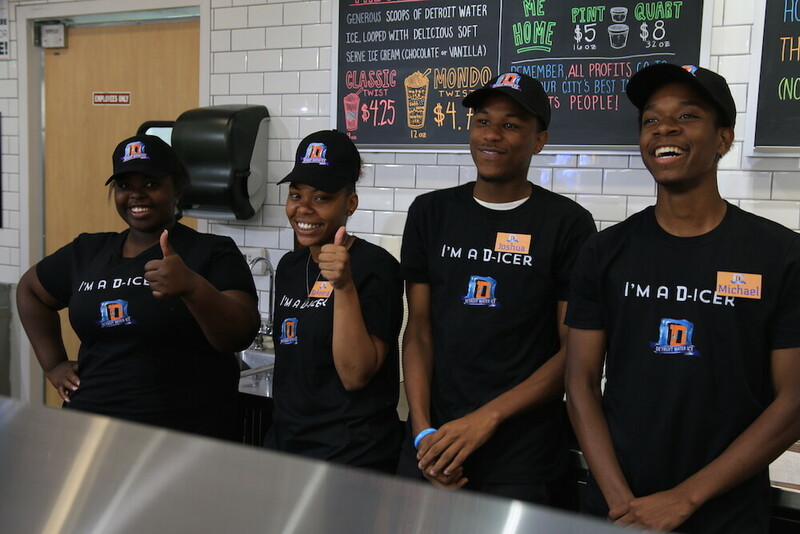 Many servers are members of partner youth programs. 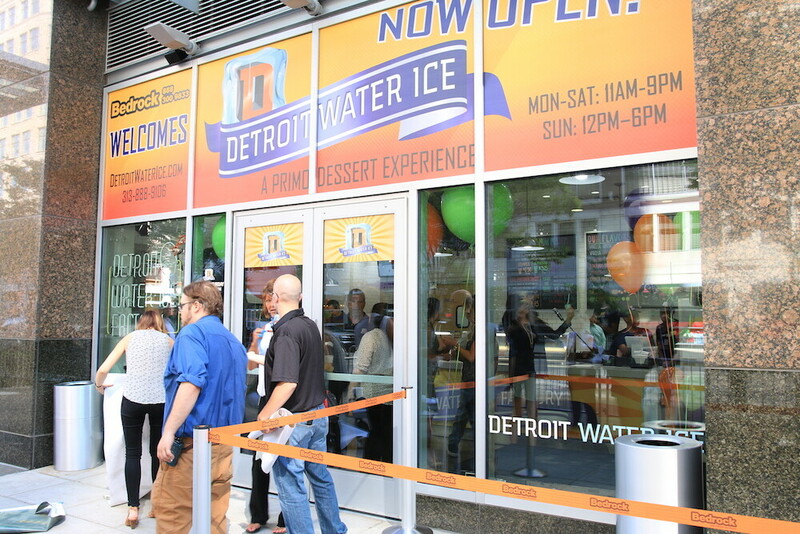 Detroit Water Ice launched its line of gourmet popcorn—Brown Bag Popcorn—with a special Halloween giveaway in 2017. 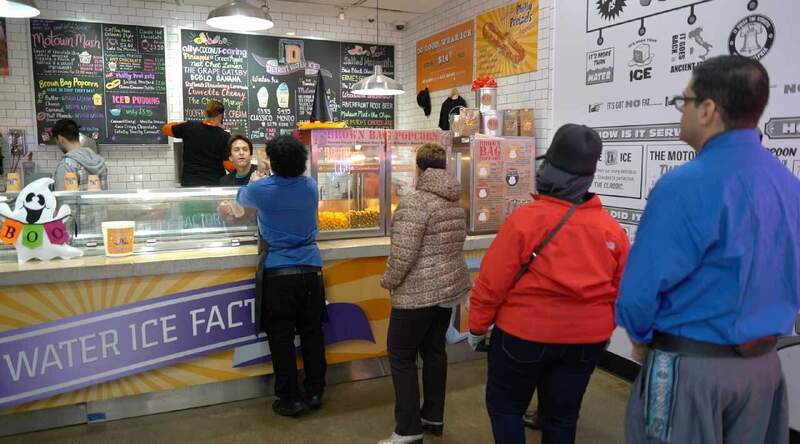 “As the weather gets colder, we’re thrilled to expand our delicious dessert offerings to include hot gourmet popcorn that we make everyday in the shop,’’ said Mitch Albom. 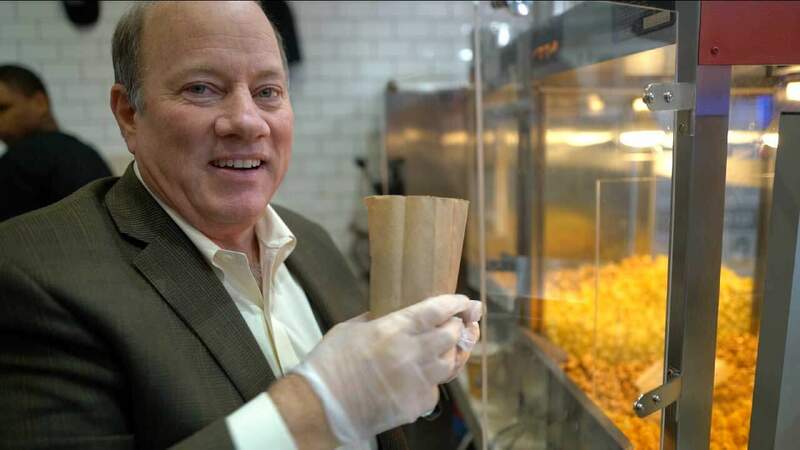 In spring 2018, Brown Bag Popcorn expanded into retail, partnering with Plum Market to sell its bags in their Ann Arbor, Bloomfield, West Bloomfield, and Detroit Metro Airport stores. 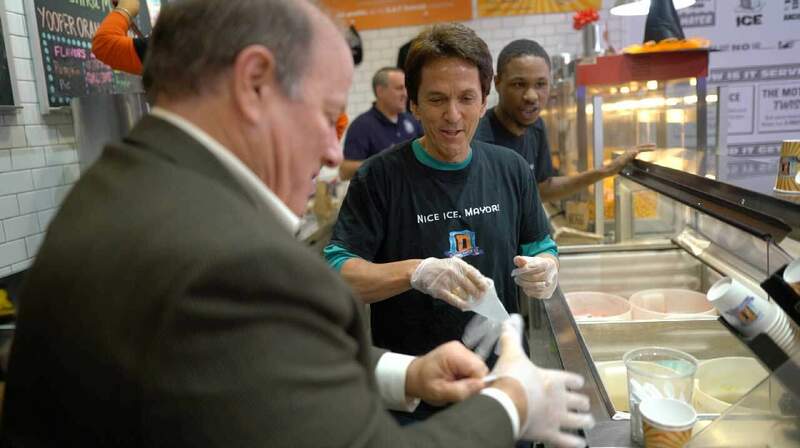 Detroit is working class city and Detroiters are warm, hard-working people without much pretense. 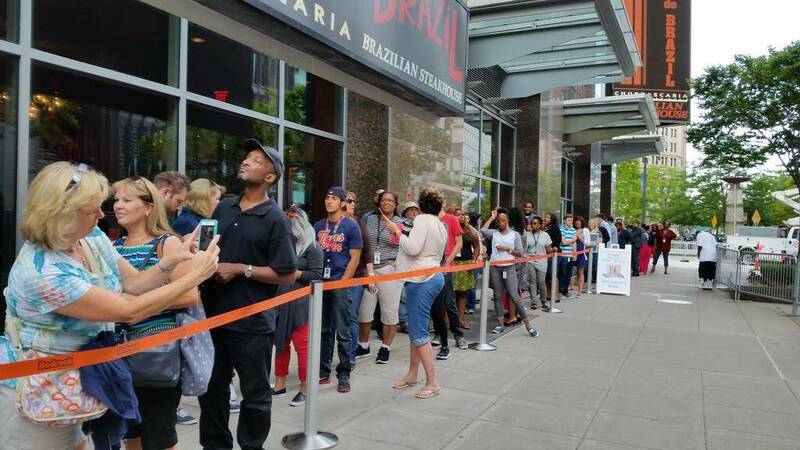 In our auto factories, a brown bag lunch is pretty common and plenty good. 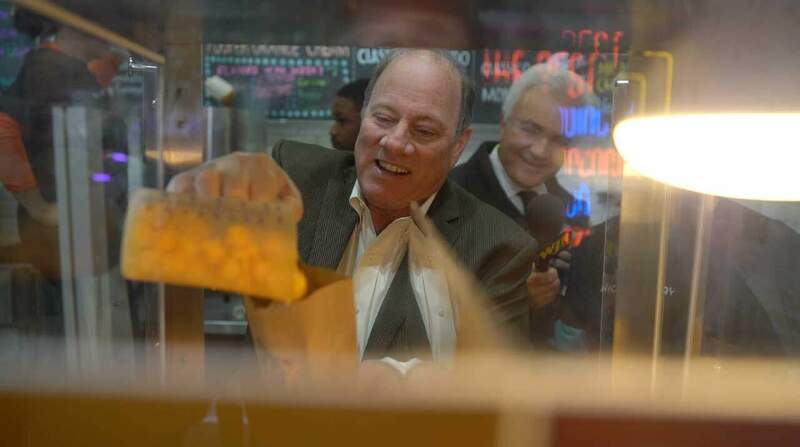 So when we invented our gourmet popcorn line, a fancy bag just didn’t sit right. 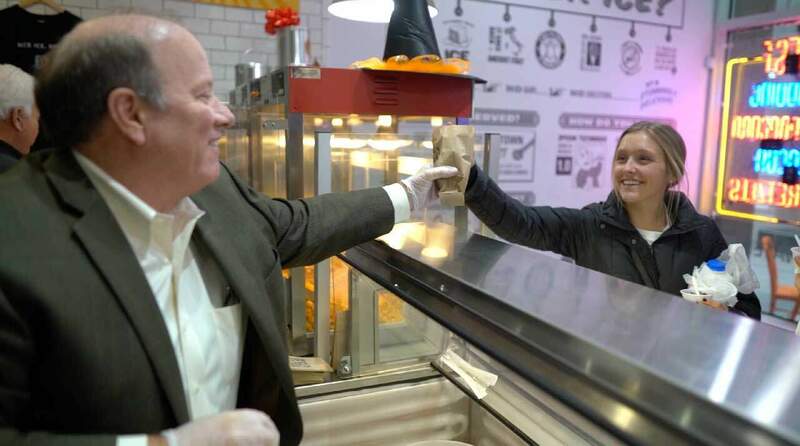 A brown bag symbolizes the tradition and resilience of our city. 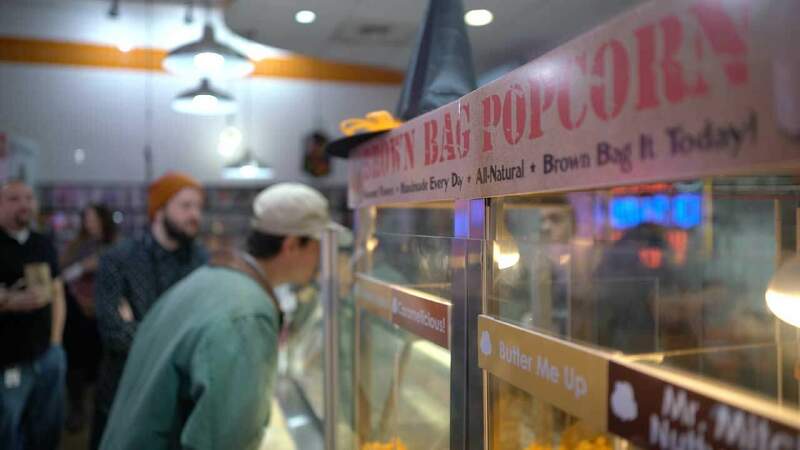 We’re proud to serve our delicious gourmet popcorn in it. 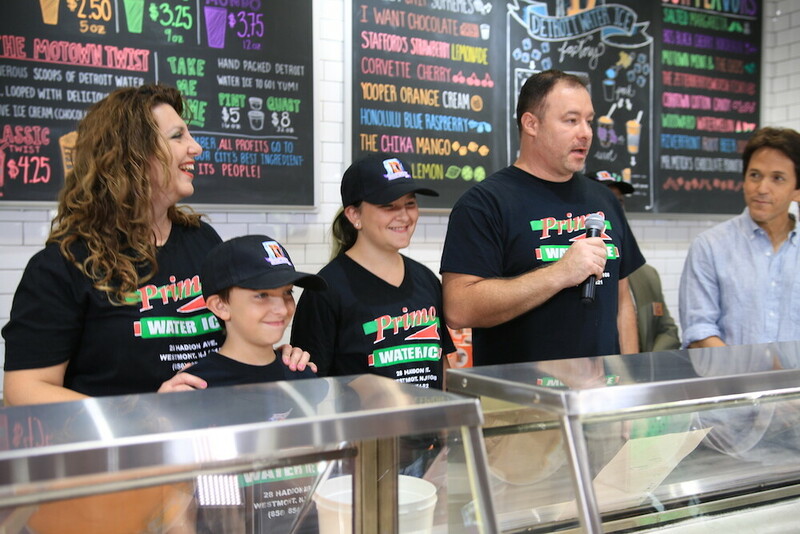 We are grateful to Mike Griffin of Idea2 for designing our Brown Bag Popcorn labels, and to the Whitlam Group for their expertise and efforts for donated services and labels. 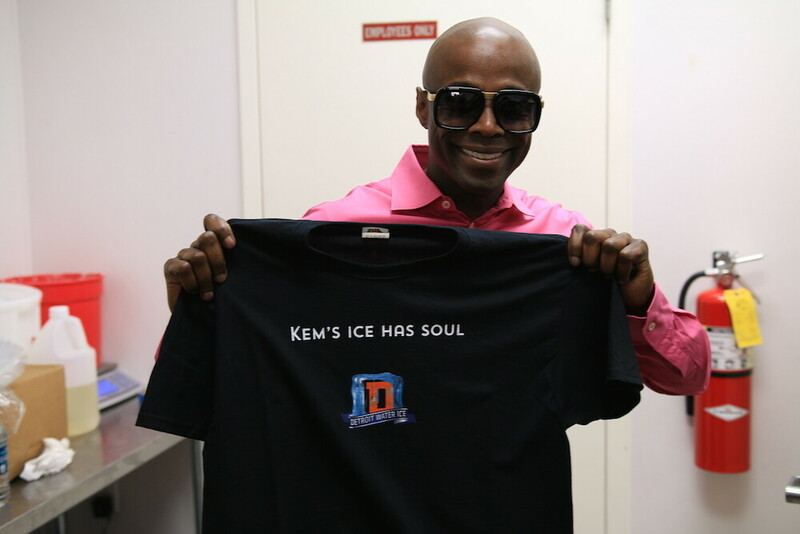 Read more about this partnership here.